The most effective way to train your dog is to use modern, science based positive reinforcement. 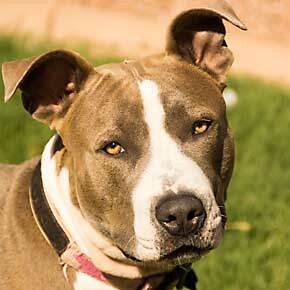 If you reward your dog for the behavior you want, your dog comes to understand what is expected. Reward based training is effective, humane , fast and fun! Another result of this type of training is that your dog trusts you and becomes a thinking, self-confident dog who learns to make good choices. The way you train your dog determines the relationship you have with your dog. 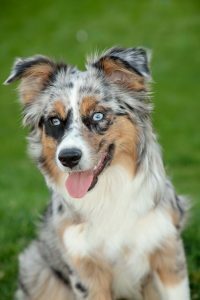 By using the Home Dog Training Positively method, you will acquire both the knowledge and the skill to help your dog become a well behaved member of the family. 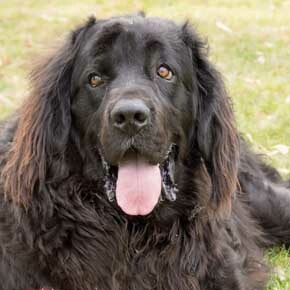 "We had always wanted a Newfoundland, and when opportunity knocked, we welcomed Moose into our home. We quickly discovered Moose was a strong willed, very..."
"Lola came to us a scared, high strung, completely antisocial little girl. It seemed she was always in trouble. She chased our kitties, ate the couch and..."
HAVE A SPECIFIC QUESTION? EMAIL Sharon DIRECTLY!